．Advanced design to extend the MTBF to 1,000,000 times. 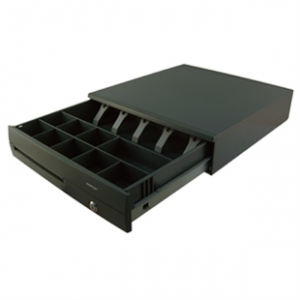 ．Precision mechanism to assure wobble-free drawer movements. ．Only bill compartment adjustable on CR-4000 Series for Euro market. ．Check slot for non-cash or large-bill transaction. ．Three level lock for maximum cash security. ．Open-drawer indicator output (except CR-4X03/4). by control board switch (CR-4X02/3).